St. Charles Garage Door Repair | Overhead Garage Door, Inc.
Having a good-looking, fully functioning garage door is a one of the most important aspects of home ownership. Overhead Garage Door Inc. will provide walk you through the entire process to ensure that you have a garage door that exceeds your expectations. Overhead Garage Door Inc. provides a wide variety of brands and materials for our St. Charles customers. 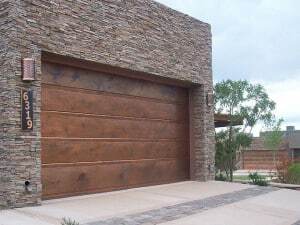 Wood, steel and carriage house garage doors are all available for installation. Overhead Garage Door Inc. is also a certified dealer of Clopay Garage Doors. If your garage door opener is damaged or the garage door itself is dented or even smashed, the experienced technicians at Overhead Garage Door Inc. can be at your home at moment’s notice to fix any garage door emergency you may have. 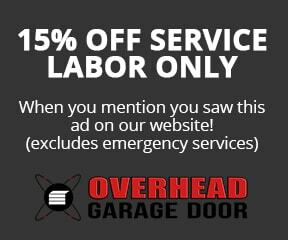 Overhead Garage Door Inc. offers same day 24 hour emergency service to its customers in St. Charles and throughout the Chicagoland area. Overhead Garage Door Inc. has a large group of experienced and skilled technicians. We truly believe we have the best team of professionals in the St. Charles area. We are so confident that your will be satisfied, that Overhead Garage Door guarantees the best garage home door installation in St. Charles. Our friendly and prompt installation services will far exceed your expectations. Overhead Garage Door Inc. can help you with any of your garage door needs. Whether you are looking to buy a new garage door for your home in St. Charles or are looking to repair a door that has been damaged, Overhead Garage Door Inc. is skilled in every aspect of your home garage door.